A 20 minute walk from the city center and you are at the Museum of Natural History. The museum is pretty impressive with Barry, the St. Bernard Dog as its highlight. The dog is believed to have saved the life dozens of people from an icy death about 200 years back. Besides the museum also has a wide paleontology collection with a display of Alpine minerals and hosts temporary exhibitions. At the entrance there is a cinema that screens a 20-minute video about the Planggenstock Treasure. The museum in all is very informative and interesting. Kids would definitely love it at this museum. Museum pass and Rekacheque are valid. Visit the museum on a Wednesday. Car parking is available at the museums entrance itself. Youth (17 -20 years) students, OASI (AHV) and groups of 10 and more: CHF 6. 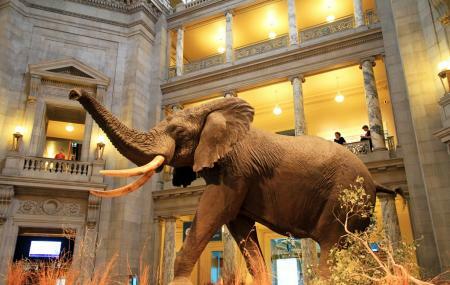 How popular is Museum Of Natural History? People normally club together Zytglogge and Bern Historical Museum while planning their visit to Museum Of Natural History. Nice but can be better. Translate to English for tourists, I mean everywhere not only some places. Put maps for each item or display so we know where these items or stones or animals live or used to live. Good facilities for families and children. Good price for families. One of the best nature museums we have been to (and there have been many) with fabulius rocks and minerals, skeletons, stuffed exotic animals, rooms of interest (Alpine dogs, lifesavers) and a set of contemporary art gallery-like science rooms. It was even too overwhelming for my 4-year-old :-) The best part was a globe in my sweet ESTONIAN! If you have kids and some time to spend then this is the right spot. Prices are ok and there is a lot to see and even touch. Go for it. Interesting expositions with lots of information. The "end of the World" exposition though failed to show how much damage animal agriculture and other industries are really doing (per example no numbers nor pictures of slaughterhouses or other animal agrigulture facilities) to our eco-system.